3, 6, 9: What are the different omega fatty acids? The benefits of omega-3 fatty acids include a reduced risk for heart attack and stroke, increased protection against Alzheimer’s disease, assisting in healthy neurological and eye development for fetuses and newborns, lower cholesterol and improvement in symptoms of rheumatoid arthritis. There are also studies underway examining the use of omega-3 for depression, bipolar disorder and inflammatory bowel disease. 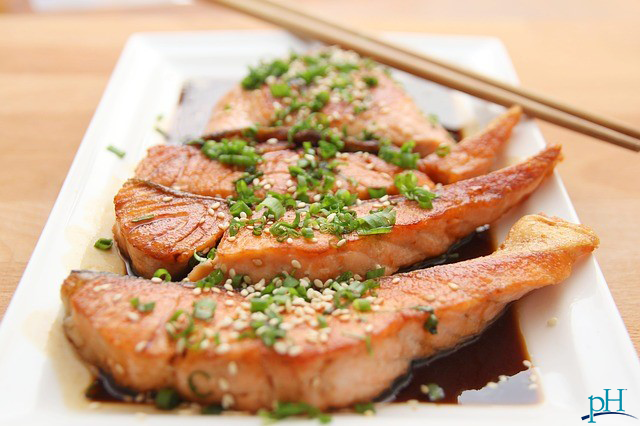 The American Heart Association recommends eating two servings of fish per week (one serving being 3.5 ounces cooked). Omega-3 fatty acids can come from animal (EPA/DHA) or plant sources (alpha linolenic acid). Most of the studies on the heart-healthy benefits of omega-3 fatty acids tend to focus on EPA/DHA sources, like oily fishes. Omega-3 fatty acids can be found in flaxseed oil, ground flaxseeds, chia seeds, walnuts, Brussels sprouts, kale, spinach, grass-fed beef and oily fishes like salmon, sardines and mackerel. Studies on omega-6 fatty acids are inconsistent regarding their cardiovascular benefits, though some studies show it may decrease triglycerides. Omega-6 fatty acids produce chemical messengers that play a role in immune and inflammatory responses. The American Heart Association recommends that 5-15 percent of your daily calories be from omega-6 fatty acids. Most people are already getting enough or more than enough omega-6 in their diet and do not need to supplement. Dietary sources of omega-6 fatty acids include sunflower seeds, safflower oil, sesame oil, soybean oil, corn oil, pine nuts and Brazil nuts. This one is actually not an essential fatty acid, because your body can produce omega-9 fatty acids. You don’t need to get them from food. However, the main omega-9 fatty acid called oleic acid is found in olive oil, canola oil, peanut oil and sunflower oil. With your comprehensive nutritional testing, you can actually test your essential fatty acid levels and find out which ones you are deficient in, or have too much of, so you can tailor your diet to address your individual risk factors and health concerns. Essential fatty acids play an important role in your heart health, brain health, addressing inflammation and more. So be proactive and make sure you’re getting what your body needs to be healthy and happy.